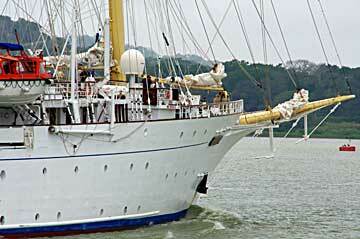 The Star Clipper and her sister ship Star Flyer are as fleet as the wind and as graceful as swans. 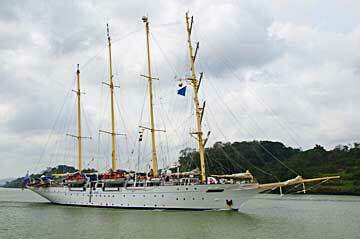 These are true clipper ships, reflecting their proud heritage in every inch of polished brass and gleaming brightwork. 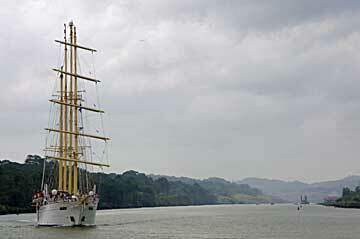 The Star Flyer Sailing Ship is shown here in the attached images on her North Bound Panama Canal transit on March 21 2010, in the area of Gamboa.